and astute observer of the human condition. 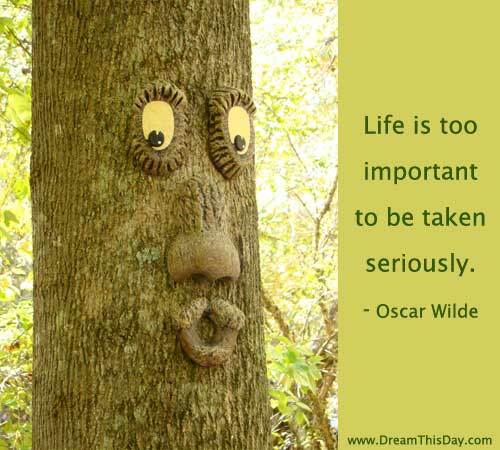 What does he mean by, "Life is too important to be taken seriously?" Is it just a simple joke? but it also can mean unsmiling, grim, and humorless. Life is too valuable to spend time not being lighthearted. Dance lightly with life today and every day.